Manchester United tickets season 2018-2019 available in our ticket inventory. Man Utd is one of the biggest dominators of the Premier League. Buy Manchester United home tickets and Manchester United away tickets to see one of the best football clubs in the world. 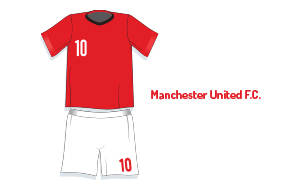 With a total of 20 Premiership titles and 12 FA Cup titles, United is one of the most successful English football clubs ever. Man Utd most recent wins include the Champions League title in 2007, the FIFA World Cup in 2008, 2010-2011 / 2012-2013 Premier League titles and the 2016-2017 Europa League. Man Utd is a two-times winner of the UEFA Champions League and has dominated English football since the early 1990s! Buy Manchester United tickets for all Man Utd matches. Manchester United will bring you a serious contender for the 2018/2019 title! Manchester United vs Chelsea - Manchester United vs Tottenham - Manchester United vs Liverpool - Manchester United vs Arsenal - Manchester United vs Manchester City.